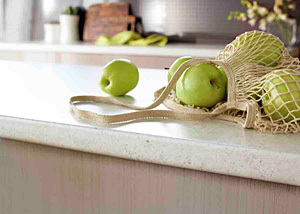 These extraordinarily durable worktops offer the tightest radius, with a new-look elegant square-edge finish.Their clean stylish lines work well in a host of applications, and also offer intelligent design features to withstand the toughest environments such as anti-drip features, special PUR adhesive sealant and sealed melamine backing. Form-Rite is an approved manufacturer of the Laminex Group Square-form worktops. These popular benchtops are manufactured on a 38mm HMR Particle board substrate and fully sealed with a white melamine backing.